My name is Clayvon Ambrose Wesley. I was born in Newark, New Jersey. In September of 1966, I enlisted in the United States Air Force and received basic training at Lackland Air Force Base in San Antonio, Texas. I was later ordered to Sheppard Air Force Base where I received training as an Air Force Medic with a concentration in Minor Surgery. My first station of duty was Griffin Air Force Base in Rome, New York where I was assigned to a unit specializing in Intensive Care Surgical Recovery and Pediatric/Neonatal care. On September 1969, I received orders to report to the Air Force Base in Cam Ranh Bay, Vietnam. I was 22 years old. When the TWA plane landed and the Stewardess opened the door, the cool air was sucked out into the hot night air and a strange smell rushed in filling the vacuum. It was a frightening moment and the memory of the heat and that strange smell that I came to associate with war and death still lives with me to this day. This was the beginning of my tour of duty in Vietnam. As I stepped out of the plane, sweat began pouring down my back and by the time I reached the terminal, I was pretty much drenched. The blowing sand filled the pores of my skin and clothes and would become a major irritant from this point on. This was the beginning of blinding rain and the monsoon season. This was the beginning of writing letters home and waiting for mail from my mother and friends. This was the beginning of “Freedom Packages” from home that contained spam, sardines, canned sausages, canned chitterlings and cookies, cookies and more cookies. We all shared in the eating of those cookies. This was the beginning of ordering whatever we could from the catalogues of Sears and Roebuck and Montgomery Ward. Sometimes we just ordered things from the catalogues just to get something from “The World.” That is what we called the places outside of Vietnam. I think back on it now and it sort of summed up our isolation. This was the beginning of a co-existence with extremely large cockroaches, which we called “flying box cars,” sand lizards three-to-six feet in length, rats as large as dogs, spiders as large as our hand and snakes we classified (one step, two step, and three step snakes) by the number of steps one could take after being bitten. 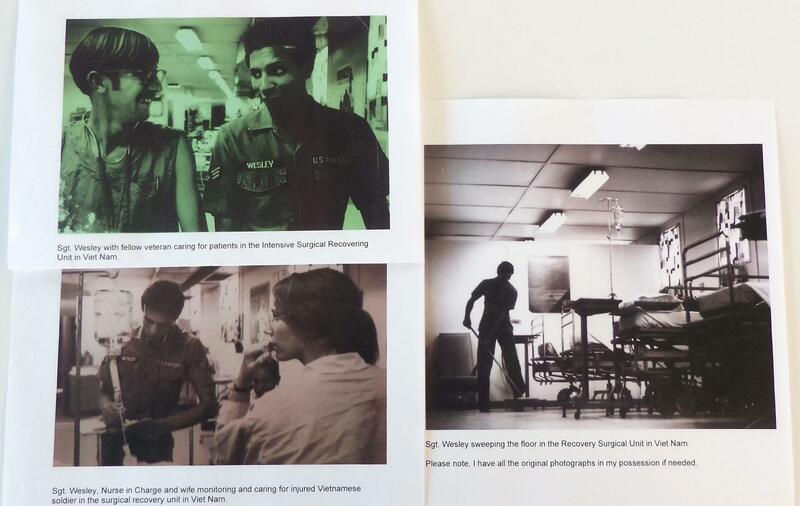 This was the beginning of learning the Vietnamese language and becoming the official translator for the 483rd hospital group. In turn, I also taught Air Force sanctioned classes in English to the Vietnamese. This is how I coped, I kept myself busy. This was the beginning of caring for soldiers who had stepped on land mines, missing extremities; arms, legs, hands, and feet. This was the beginning of toe tags and black body bags. This was the beginning of ants eating a patient’s leg while trying to heal in the hospital. This was the beginning of caring for patients with 90% of their bodies burned resting on a Stryker frame, which had to be turned every two hours, attached to a ventilation machine. This was the beginning of working 12-hour days, five to seven days a week. This was the beginning of going to Maryland University Eastern Shore in an attempt to continue my college education. This was the beginning of a life and journey I had never thought of, never seen and will never forget for these memories are buried into my psyche. This is the beginning of feeling the ground shake under you when missiles and bombs from the Viet Cong were hurled onto the Base. This was the beginning of my services in Cam Ranh Bay, Vietnam 483rd Hospital Group, which went from October 1969 until September 1970. I served with 12 nurses and 12 Corp Men/Medics. We called ourselves the United Nations Group, because each one of us was from a different part of the country with different nationalities. This was the beginning of eternal friendships whose memories last to this day. I was the only African-American in this Unit and my Master Sergeant in charge was Sgt. Nash. Upon discharge, I worked at Firmin Desloge Hospital now called Saint Louis University Hospital in Saint Louis, Missouri. I worked as an Intensive Care Surgical Recovery Technician, Neurological Surgical Recovery Technician and, finally, as a Cardiac Vascular Technician caring for patients who had open heart surgery and heart transplants. 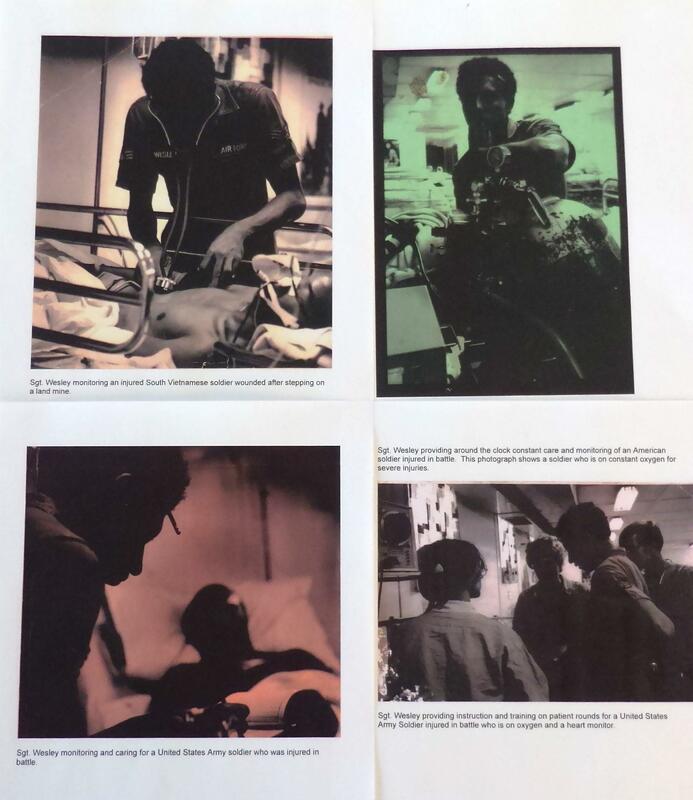 While in Vietnam, an African-American photographer came to our Unit at the 483rd Hospital Group and took the following photographs. His assignment was to photograph African-American service men serving in critical positions in Vietnam. I happen to be one of those Veterans. 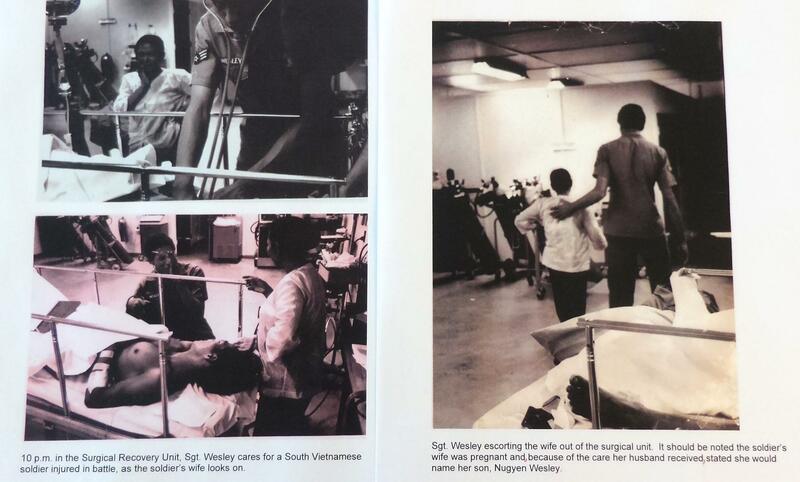 The attached photographs are now part of the National Guard photographic story of Vietnam Veterans, and this exhibition has been viewed throughout the State of Missouri and the State Capital.